Hazret Shaykh Muhyiddin Ibn Arabi (may Allah be well pleased with him) is one of the Grand Masters of Tasawwuf (Sufism/Islamic Spirituality). His works like “Al Futuhat Al Makkiyya and Fusus Al Hikam” are renowned masterpiece in the knowledge of Sufism. 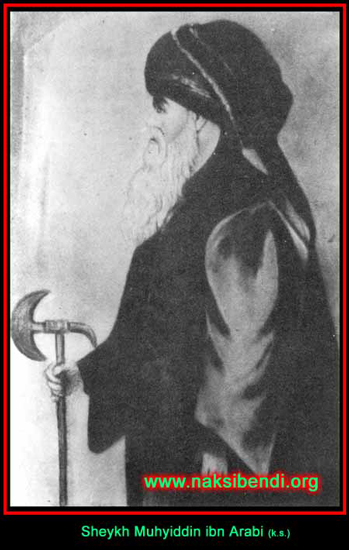 Hazret Shaykh Ibn Arabi is known as “Shaykh Al Akbar” which means the greatest Shaykh (Spiritual knower of Allah the Mighty and Sublime). The teachings of Hazret Ibn Arabi (Radiyallahu Anhu) illuminate the hearts of the seekers and disciples in the gnosis of God , and explores the hidden knowledge of Tawhid (Islamic monotheism) and Spirituality of Islam. 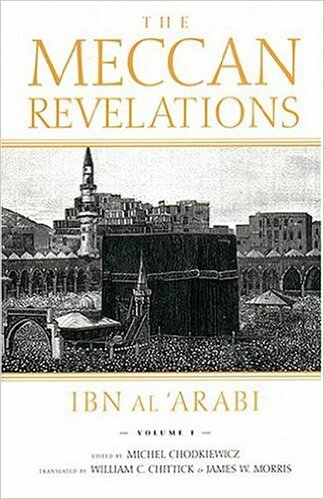 This are some excerpts from the biography of Hazret ibn Arabi (R.A) and his encounter with people of the Book (Christians and Jews). One day, one of Ibn Arabi’s opponents was taken sick, stayed in the home.The Shaykh went to visit the sick. he knocked the door and asked the sick man’s wife to inform him that he wished to meet him and pay his respects. The woman went to her husband and conveyed the message and returning to the Shaykh, told that her husband did not wish to see him. The Shaykh had no business in this house, she told him. The proper place for him was the Church. The Shaykh thanked the women and said that since a good man like her husband would certainly not send him to a bad place., he would comply with the suggestion. So after praying for his health and welfare of the sick man, the Shaykh departed for the Church. When he arrived at the Church, he removed his shoes, entered with humble courtesy , and slowly and silently headed toward a corner, where he sat down. The priest was in the midst of delivering a sermon to which Hazret Ibn Arabi (Q.S) listened with the utmost attention. During the sermon, the Shaykh felt that the priest had slandered Jesus Christ (Peace be upon him) by attributing to him the claim that he was son of God. The Shaykh stood up and courteously objected to this statement. “O venerable priest,” he began “Holy Jesus Christ did not say that. On the contrary, he foretold the good news of the arrival of the Prophet Ahmad (Peace and blessings of Allah be upon him)”. The priest denied that Jesus (Peace be upon him) had said this. The debate went on and on. Finally the Shaykh, pointing to the image of Jesus on the Church wall, told the priest to ask Jesus himself. He would answer and and decide the issue once and for all. The priest protested aggressively, pointing out that a picture could not speak. The picture would speak, the Shaykh insisted,for God, who had made Jesus speak while a baby in the arms of holy Virgin Mary (Peace be upon her), was able to make his picture as well. The congregation following the heated debate became excited at this statement . The priest was forced to turn to the image of Jesus and address it: “O son of God! Show us the true path tell us which of us is right in our claim.” With God’s Will , the picture spoke and answered: “I am not the son of God, I am His Messenger, and after me came the last of Prophets, the Holy Ahmad; I foretold that to you, and I repeat this good news now”. With this miracle the whole congregation accepted Islam and, with Hazret Ibn Arabi leading them, marched through the streets to the Masjid. As they passed by the house of the sick man , he could be seen within , his eyes wide open in astonishment , looking out of the window at this curious sight. The saint stopped , and blessed and thanked the man who had insulted him, saying that he was to be praised for the salvation of all these people.